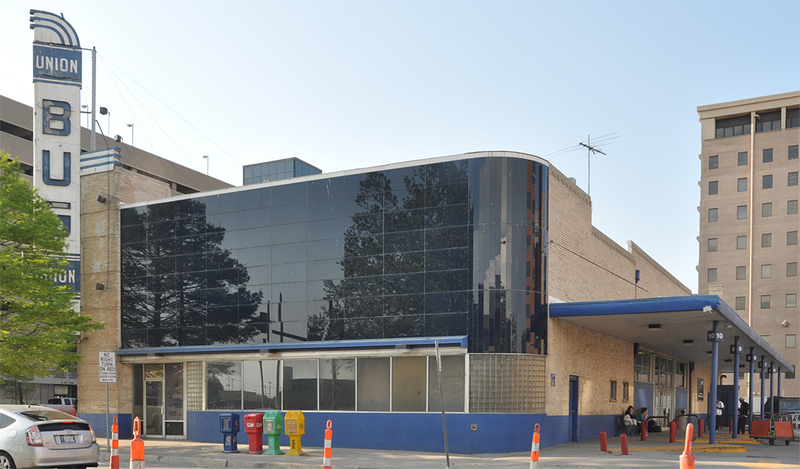 This Union Bus Station was built in 1941. 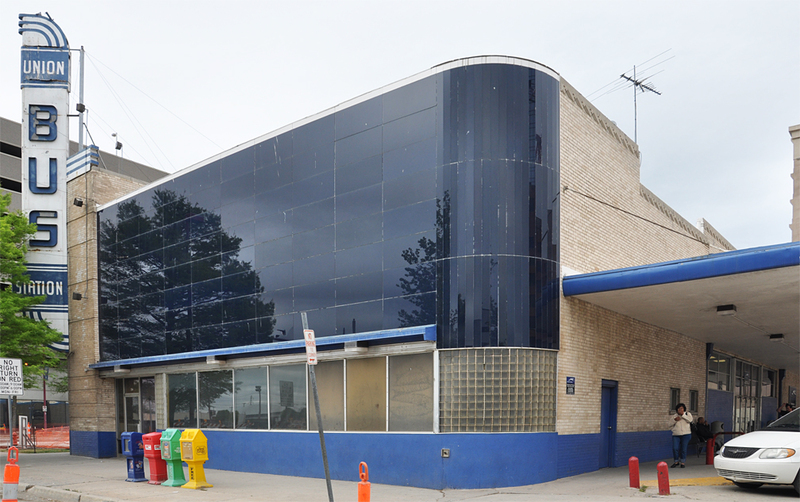 The building is faced with blue vitrolite. The station was used by Greyhound and other private bus lines. The station closed in 2013 and Greyhound moved to a new location. The building remained vacant until it was demolished in 2016. In 2017, the sign was restored and reinstalled on the exterior corner of the site's new building. The vitrolite tiles will supposedly be incorporated into the design of one of the garages.